What to make of Nocturnal Animals, a film that could be accused of being baffling if it also wasn’t so captivating. A second look on DVD and Blu-Ray not only gets one to see the more lucid connections of the inner story to the outer story. It also to further appreciate the visual design and symbolism that was certainly evident the first time in theaters but now takes on greater appreciation once you dig into it on home video (the Blu-Ray transfer particularly shows off its rich, as well as accomplished, visual palette). Tom Ford is the famed fashion designer of Gucci and Yves Saint Laurent who has made this his second film following the poignant 2009 debut “A Single Man” with Colin Firth as a suicidal gay professor set in the uptight 1960’s. What Ford has now made is a film that immediately catches the off-kilter mood of David Lynch, except it’s delicious at first to wonder if it’s closer to the this is really happening “Blue Velvet” Lynch, or the more surreal it’s more of a dream feeling of “Mulholland Dr.” Lynch. I had a good time trying to dissect the intended nature of the film. Amy Adams plays a socialite art gallery owner married to a self-absorbed businessman played by Armie Hammer (who has convinced me that as long as he’s playing bluebloods like he does here or “The Social Network,” then he will always have at least one type of role he’s effective at). Their marriage is a wash out. When Adams’ previous husband is portrayed by Jake Gyllenhaal, who sends her a manuscript of his about to be published novel that’s dedicated to her, she’s touched. She is also shocked and alarmed by the book’s vicious dark nature. This is all analog. But why is Adams so fascinated by it? The way Adams reacts to it makes it fair wonder if what happened in the book really did happen in reality. Yet if there’s a flaw in Ford’s film, it’s that I’m not really sure that the novel has a strong enough story (or commercial viability) to be published in the first place. I found myself forgiving the film for this flaw, maybe because the film itself has such a lurid pull on its own. There are alternate flashbacks of the courtship between Gyllenhaal and Adams, of Adams’ uppity mother (Laura Linney, in harridan mode is impossible to forget) warning of a relationship disaster, then of Adams’ losing interest in this man she married. 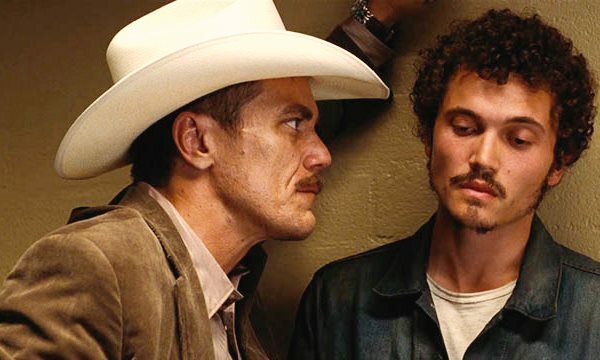 Then there’s the recently Oscar nominated Michael Shannon as a yokel cop with unexpected layers of empathy – as well as intimidating hardness – although, do we really know where that empathy is coming from? The character is an oddity, but what would the role be like had it been missing Shannon’s trademark peculiarity? Adams does wonders with a difficult character and clearly to me has the best role in the film (she was superlative this year with the ingenious sci-fi entry “Arrival” also in contention). Here’s an unhappily married woman who has had success on a silver platter, but internally feels like a cipher who is trapped by meaningless surroundings. Re-connecting with her first husband feels like a much needed jolt of life re-examination for her. 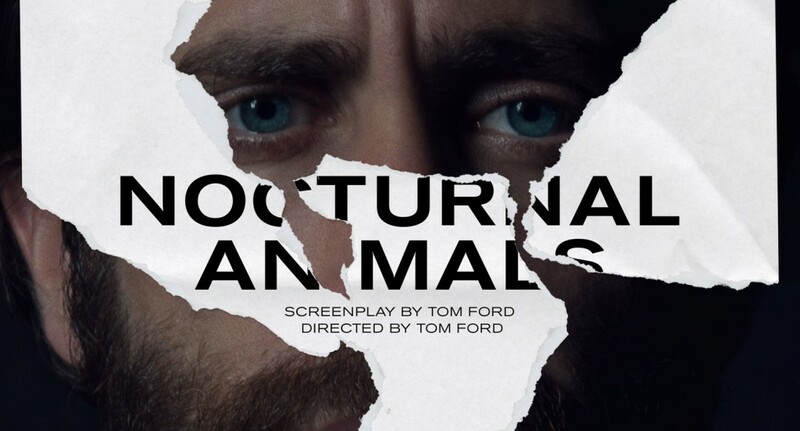 Please, allow yourself to deconstruct the whole puzzle together, with what the analog story has to do with the main story, and that will allow “Nocturnal Animals” be something of a head-spinner for you. It’s something of a provocation, too, with closing images that leaves you at a sigh… for what doesn’t happen. You can say that it ends on a red herring. But sometimes life has its red herrings, too. In the Blu-Ray and DVD package, three brief but indispensable bonus features serve as a companion to the film, much to benefit to view after you’ve seen the film. “Building the Story” is 4 minutes long and solicits an eloquent Tom Ford extrapolating his attraction for this story. “The Look of Nocturnal Animals” at 3 minutes and 47 seconds not just defines its visual style but makes slathering costumes comments. Heck, I’m more certain now that the film should have gotten a Best Cinematography Oscar nomination. What oversights, oh well. “The Filmmaker’s Eye: Tom Ford” at 3 minutes and 31 seconds allows doting comments by Amy Adams, as well as to how he found ways to seamlessly blend the outer story to the inner story and make it relatable. Relatable even if it’s in an allegorical sense? Good job, Ford. Film Cousins: “Blue Velvet” (1986); “Mulholland Dr.” (2001); “In the Bedroom” (2001); “Cache” (2005, France).